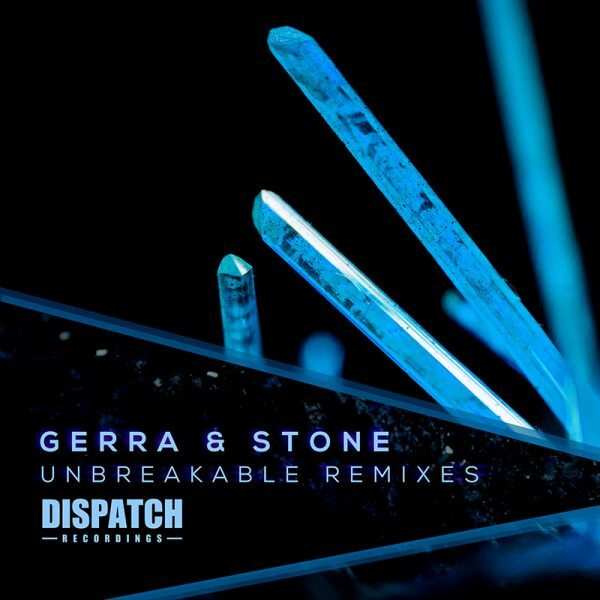 As Dispatch draw close to their landmark 100th release their latest main-label offering treats us to some stunning reworks from Gerra & Stone’s Unbreakable EP, and as usual from Ant TC1’s seminal imprint the results are among the finest underground D&B in the scene. First up, Dublin legend Zero T is on hand to turn in a rolling liquid refix of title track Unbreakable. The soft vocal flourishes and melancholy melodies of the original are still present and correct, but the quirky drums and off-kilter bass of the original have been swapped out for a thoroughly trademark Zero T bongo roller break and warm sub textures. This one is sure to prompt smiling faces and dancing feet, and there’s an instrumental mix included for good measure. When it came to the thoroughly Photek-esque vibes of Plates there was only ever one production team we wanted to hear on the remix so we were more than happy to see Blocks and Escher on the buttons. The duo flip the script on this one, dishing up a moody, stripped back take which swaps the chopped up drums of the original for an ominous percussion routine that keeps the tension bubbling away. Last but by no means least, Mako brings his signature funk stylings to Almost U with a new version that is all about the drums. This perhaps isn’t the most adventurous mix in terms of changing up the original melodic elements, but when the parts are this lush and the new drums are this sharp it’s still impossible to argue with. Another sick release from Dispatch! We’re hugely looking forward to hearing what they have in store with DIS100… meantime you can check out clips of the EP below and hit up the Dispatch Store for full length previews and WAV/MP3/12″ purchases.